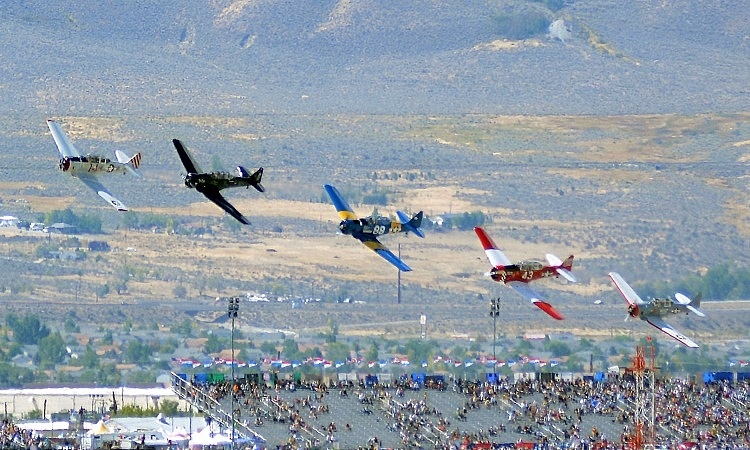 September’s rolling around again, and that mean’s America’s flyboys are getting ready for the annual pilgrimage to Nevada. Back in 1964 a guy named Bill Stead had the audacious idea to hold the ‘National Air Races’ on a 2000ft grass strip just outside Reno, Nevada, ‘The Biggest Little City in the West’. Since its inception it has attracted more than one million visitors, and happens every September. 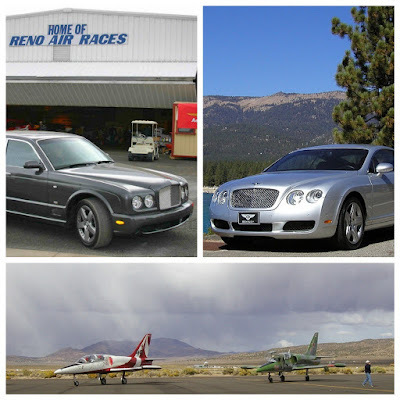 The Air Races organizers label the event as the ‘Fastest Motor Sport in History’, so after winning the 24 Hours of Le Mans in 2003, it seemed natural that we could use the event to promote Bentley - to all the well-heeled, aircraft-owning enthusiasts who turned up each year. Now, the Air Races are held at Reno’s Stead Airport, and if you’re into flying this is one of two great annual aviation events in the USA. The second is the Oshkosh get-together, run by the Experimental Aircraft Association, the EAA. 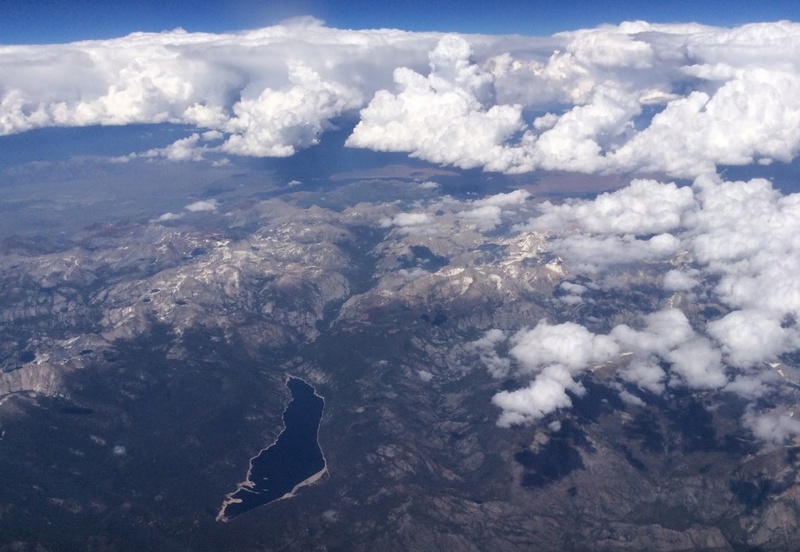 The Lake Tahoe area is one of the most stunningly beautiful parts of the USA, and is definately worth a visit, especially in winter, for fantastic skiing. 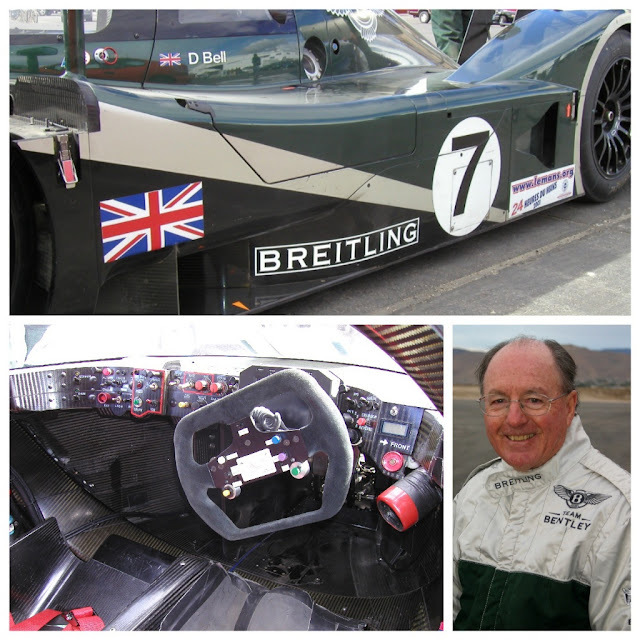 Never one to pass up an opportunity to show off the Bentley brand with the media, I pulled together a pretty disparate group of journalists to come to Lake Tahoe to drive a range of Bentleys; but to guarantee attendance we also told them that Derek Bell would take them for hot laps at Reno airport in our Le Mans-winning EXP Speed 8 race car; and on Sunday they could experience ‘weightlessness’ by going up in the Zero-G Boeing 727, which is used for astronaut training. We had a an RSVP rate of 100%. Little did they know what they were in for. However, little did we know what we were in for. 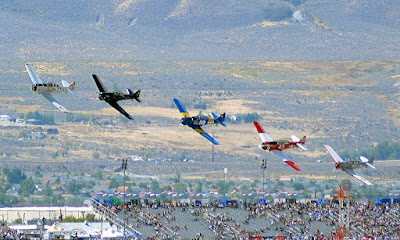 After signing all the promotional contracts with the organizers of the National Air Races, we then found out that there was no way we could ‘interrupt’ the races. We could not give ‘demo drives’ in the race car during the hours of 9am and 7pm – we would have to schedule the drives at ‘some other time’! 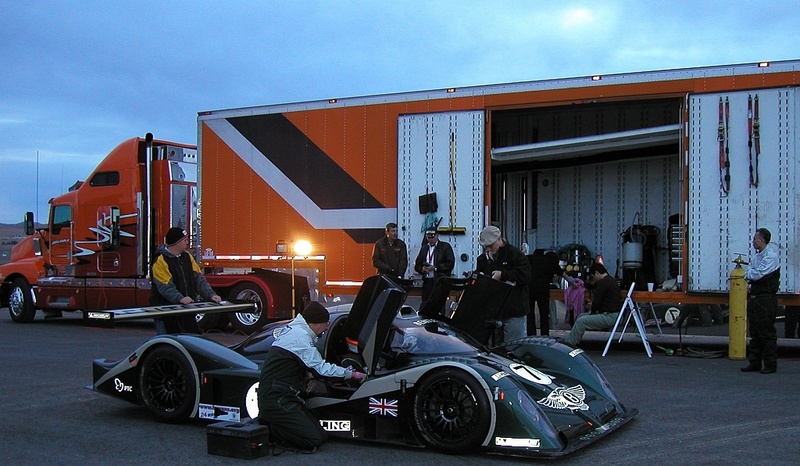 So the guys from Reliable Transport hauled the EXP Speed 8 to the airport at 4am; we managed to get the media out of bed at their hotel in Lake Tahoe and to a meeting with Derek Bell. The tech guys from Bentley Motor Sport who came from the Crewe, in the UK with the race car had marked out a circuit with witches hats and began prepping the car. Derek and I ran some laps around the ‘circuit’ in a Bentley Continental GT coupe, during which Derek told me this was going to be a ‘bit hairy’ in the race car, because he would be virtually driving in the dark, and from his low level driving position he wasn’t sure the headlight spread was wide enough to ‘see’ the witches hats. All went well, everyone had a run, and there was even time for me to suit up for two quick laps with my mate Derek. What a fantastic experience! I’ve passengered in quite a few race cars, but never anything as pure as this – the noise, the speed and the centrifugal forces made a big impression. Of course, DB later revealed he was really only driving at 5/10ths, because it was too dangerous to do otherwise. I remained impressed. Then as the big hand struck 9am, we had packed away the race car, said our farewell to the ‘circuit’ and retired to one of Reno’s many casinos for a hearty breakfast. 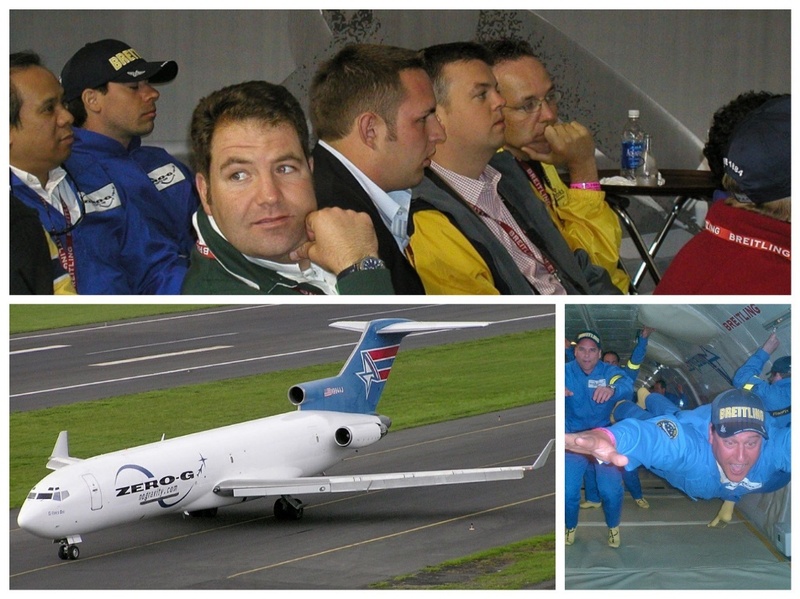 Then it was back to Stead Airport to watch the races, and for the media crew to go through their 'Weightless Flight' briefing. Most of the media survived the weightless experience, but not without some depositing their lunch around the padded aircraft interior. At least no-one threw up in the race car. 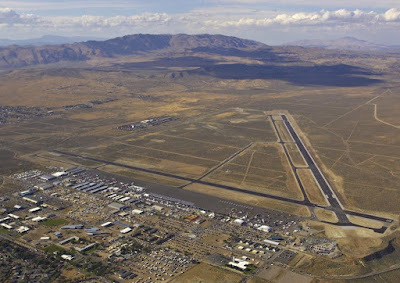 After watching the air races, and going weightless, we drove across to the other side of Reno Stead Airport, which had returned to normal operations, to catch our Northwest 767, for the return flight to Detroit. Given both the logistical challenges, and the race-car experience (I declined the offer to be weightless), that’s a Bentley event I will never forget.